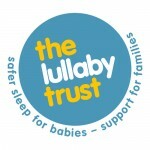 The Lullaby Trust (formerly Foundation for the Study of Infant Deaths) is the primary funder of medical research into the causes of sudden infant death; the main supporter of bereaved parents; and a strong advocate of preventative action. The charity had agreed a new strategy with ambitious new targets for ensuring that every parent has the advice and support to care for their baby safely. The Trust commissioned a governance review to bring the charity’s governance arrangements up-to-date, in line with best practice, and consistent with its new strategic direction.